Revisited this pub again on a Bank Holiday Sunday and was pleasantly surprised to find a beer festival in progress. Off the beaten track, this is a real traditional local which is strongly recommended. My only gripe is that the beer was a little on the warm side. 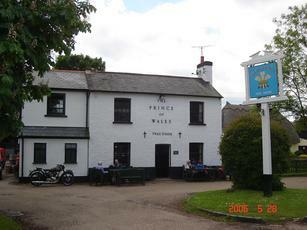 Unspoilt country pub with it's own brewery. Friendly service and excellent value food. The house beers are nothing special but they do have guest ales from other local breweries. Recommended. Visited this pub for the first time in around 15 years, and was pleasantly surprised to find a traditional village pub which had not refurbished in an identikit modern style. Just two real ales were on handpump - a perfectly drinkable if slightly warm Henry's IPA from Wadworths and Citra from Oakham. The Henry's IPA was priced at a reasonable £3.20. The menu is basic but proper ham egg and chips at £6.95 is good value locally. This pub is definitely worth a visit if you're in the vicinity. I walked around the local area, and walked into this village pub, expecting to be given a death stare by the locals, you know how it is. However, I was greeted by the old chaps at the bar, given a warm welcome by the landlord and was greeted by an open fire. To be honest, if the beer, food and pub itself was sh*t, the welcome would've made up for it. But, there was no need to worry about the pub. I tried all four beers that were on tap, Union Jack (3.6% - a permanant fixture), which is brewed on site, and was a very good pint, not the best but very good. I then tried the Chilly Willy (I think it was 4%), also brewed on site - this was a copper coloured beer, brewed with ginger and chillies, yes I was skeptical, but the ginger gave the beer a crisp note, and lovely aroma, as for the chilli, well, other than a warm sensation on the back of you palette, it wasn't noticable enough to put me off having a second pint! I then had a pint of Lancaster Blonde (Rudgate, 4.2%), which was a refreshing light ale, particularly after a long walk. I finally had a beer which is a permanant fixture in this pub, Henry's IPA (Wadworth 3.7%), a superb IPA, crisp, biscuitty and I can't fault it. After a few beers, everyone needs some grub. This pub doesn't fame itself for it's food, so I wasn't expecting much. However, I was delighted to find a proper pub menu. With choices like 'Ploughmans' or 'Ham, 2 egg's and chips', it's the perfect food to have after a pint. At just under seven quid for a Ham, two egg's and chips, I wasn't expecting a lot, but when the young, (very attractive), brunette girl (who I later found out was the landlord's daughter [they show no resembelance whatsoever]), greeted me with my cutlery and condiments, I decided to rack her brains. I was chuffed to find out that the ham and eggs are sourced locally, as with many of their ingredients. Right, the bit you waiting for... My goodness, this portion was ENORMOUS. I like food, and I eat a lot of it, by oh my, a nice thick piece of ham, two large eggs, which bright yolks and a mountain of chips later, I was full. For a pub that serves food as a necessity rather than a business, this exceeded my expectations by far. In response to the person who moaned constantly in their review, firstly, it's a pub, people have the right to free speech - just because you found someone else's conversation offensive, does not mean the nature of the pub is the same, it can happen anywhere, don't like what they're saying? Simple solution, don't bl***y listen! Secondly, I was in this pub, when it was extremely busy for a long time and not one person asked to pay by card. They accept cheque's and there's a local post office open 7 days a week a five minute drive away to get cash out. Thirdly, it's a traditional pub, therefore a traditional menu is nice to see. Whilst conversing with the young waitress/chef, I found out that the pub's menu has stayed the same for five years. It offers ploughmans, jacket potatoes, sandwiches, and the people on the table next to me, asked for salad instead of chips and that was not a problem. Finally, Union Jack has been a permanant beer sicne it was first brewed many years ago, so they did have an in-house beer on tap. It's always worth going back to somewhere, because 'Surrealale''s experience, is the polar opposite of mine, and many of my friends, try it again, maybe you or they were having a bad day. To sum it up, excellent beer, above average food for a pub that doesn't fame itself for it, delightful service, and great atmosphere. Highly recommended! Big beer festival this weekend, I intend to be there tomorrow.